Would Fight Club still be your favorite movie if Brad Pitt was played by Tom Hanks? Can you even imagine?! What if Hillary Duff left Leonardo DiCaprio dying in the ocean from Titanic? When it comes to creating a film cast, things are not always as they seem! Sometimes schedules get in the way or an actor’s personal preference. Check out these famous actors who rejected iconic roles! 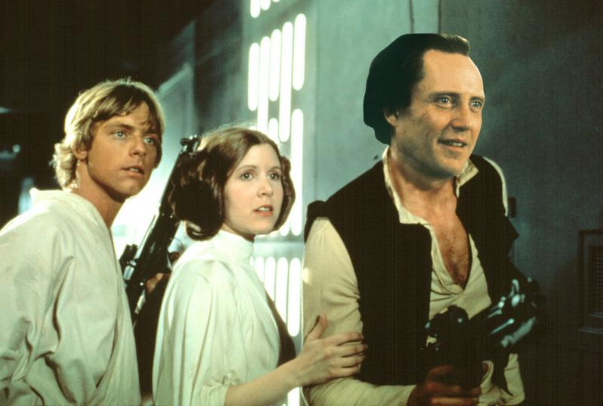 As much as we all love Christopher Walken, we cannot picture him playing Han Solo! Supposedly, popular Star Wars filmmaker George Lucas did not want to use Harrison Ford because he was the one and only Indiana Jones. Luckily, Christopher Walken turned it down and Harrison Ford proved his acting skills and made us find magic in his character even though we already knew his famous face.